Thanks to the local libraries summer reading programs and my requirement of at least 45 minutes of reading a day for our school, the girls have been turning out book after book. They are now on a first name basis with the neighboring librarians and have been told by two of them that they have read more books than other kids signed up for their summer reading programs. 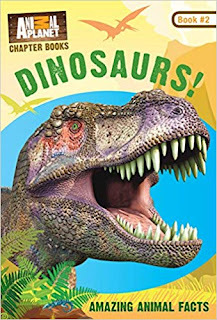 Even though the libraries give little prizes or incentives for reading, my girls are picking up a new book (almost every day) because they have developed a love of reading, and look forward to seeing what new adventures they can go on, or what fascinating facts they learn about animals and places. I have always loved reading, and have been looking forward to the time that my girls can pick up a book and read on their own, and get excited about what they are reading and want to share what they are reading or learning with family and friends. 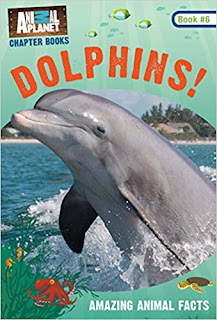 Recently, I shared a review of the Animal Planet Chapter Books Horses and Dolphins books with you (You can read my review of these two books here: https://www.inspiredbysavannah.com/2018/06/discover-amazing-animal-facts-about.html). 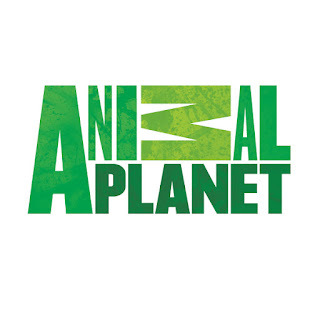 My girls love Animal Planet and were excited to learn that they had not only chapter books about different animals, but also a fun Animal Planet Adventures Chapter Book series which has kids solving puzzles along the way. 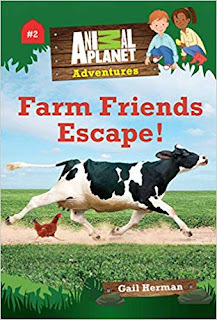 I ended up picking up all 4 Animal Planet Adventures Chapter Books in this series for Savannah's birthday, and within two days the girls had read each of the books, passing them back and forth to read and talk about. My girls were excited when I opened a package with three more of the Animal Planet Chapter Books in the mail a couple weeks ago as they were about animals they love -- sharks, snakes and bugs (there is also another book in the series about dinosaurs that we haven't picked up and read yet, but stay tuned! :-). 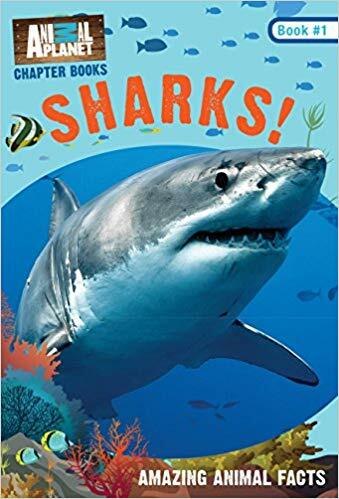 And, with Shark week happening this week, the sharks book came in handy as part of our "Sharks" theme for our homeschooling. The girls were able to use this book and pull facts about different sharks to write reports on their favorites. Savannah chose to write about the spiny dogfish shark (partly because it had "dog" in the name) and the hammerhead, while Bella chose the great white shark and lemon sharks. Thanks to the Animal Planet Chapter Books Shark book they able to draw and label the different parts of a shark, find out what region they lived in, what they ate, and other fun shark facts. And, when we sat to watch Shark Week shows, they were all smiles when they heard shark facts that they had recently read about in this book. 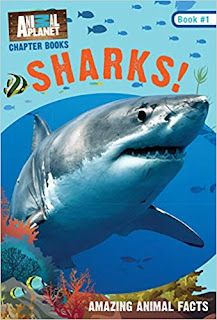 If you have a shark lover in your house, or want to continue Shark Week well beyond this week with your kids, then you will want to pick up this chapter book. At only $5.94 retail price -- you can find on Amazon for around $4.99 right now -- this is a steal for shark lovers. It is chock full of fun facts broken down into chapters, so that you can read at your own pace, or flip to topics that interest you and that you want to learn more about. 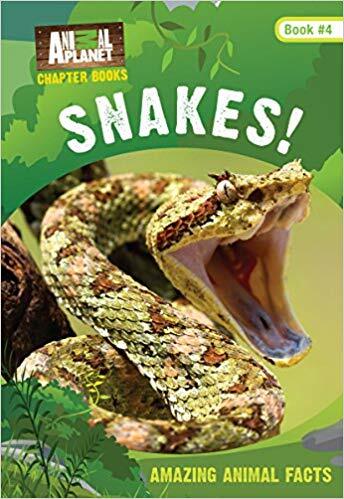 In addition to the Sharks chapter book, I was also sent the Snakes and Bugs chapter books. Bella, my youngest, has been intrigued with bugs and snakes after recently gone to a neighboring library for their animal adventures class. She got to hold different snakes, as well as turtles, lizards, frogs and other animals. But, she kept gravitating towards the snakes and felt at ease around them -- even the biggest ones, which I found myself flinching when she would bring near me. After that library event all she talks about is wanting a snake as a pet. She knows that they eat frozen mice and said that they only need to be fed every week or 2 weeks depending on size and type of snake, so I didn't need to store too many frozen mice in the freezer -- nice that she is thinking of freezer space for me. While I don't see us getting a snake any time soon, I don't mind watching snake documentaries and reading books like this one that share fascinating facts about snakes. In regards to the Animal Planet Chapter Books - Bugs book, kids will learn about all sorts of bugs like beetles, dragonflies, mantids, phasmids, mosquitos, flies, fleas, butterflies, moths, and even ants, bees and wasps. 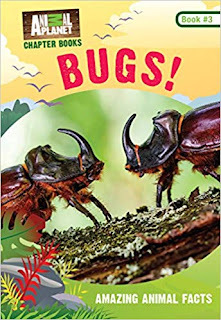 We have touched upon many of these bugs over the years during our "Bug" theme weeks, but as the girls read through this book, they found themselves learning more about them, and couldn't wait to share what they learned with my husband and me. 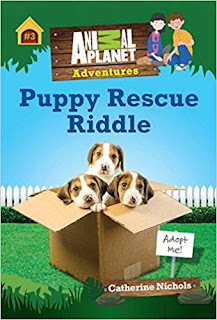 We have really enjoyed the Animal Planet Chapter Books #1-5 in this chapter book series, which is perfect for children who are reading chapter books, or families that like to sit down and read a good book together. My girls love drawing pictures of the animals after reading the books, and have been looking at the libraries for other books about the animals they recently learned about from these chapter books, to learn more. I highly recommend these book, and hope more books will be releasing in this and their Animal Planet Adventures Chapter Book series. 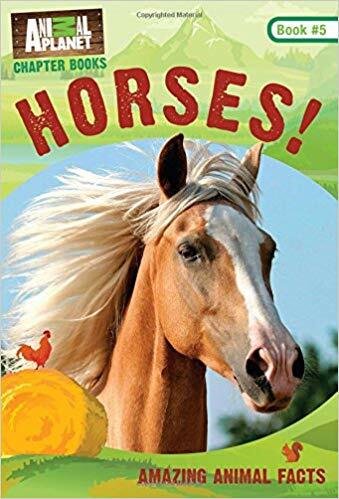 You can find all the chapter books from Animal Planet over at Amazon (most for less than the retail price), making them great to pick up for end of summer reading. 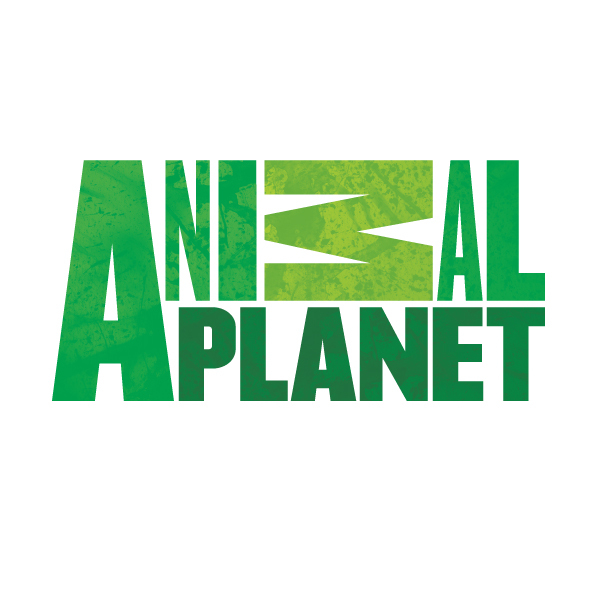 We are super fans of anything on the Animal Planet channel. I had no idea that they had books out until I read about it on your blog post. I would so love to get these books for the kids they look amazing and educational thank you for the wonderful review. I love your blog so much. My grandsons love bugs, sharks and animals so these are perfect for them.